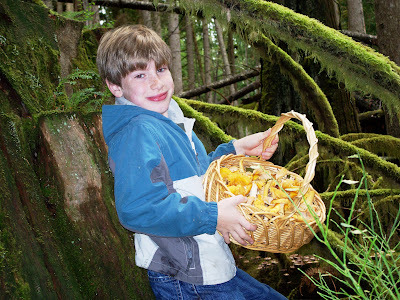 Mushroom Maynia: a tisket, a tasket, what should go in your basket? There are many reasons why living in the Pacific Northwest is a thrill for mushroom lovers like me. As an infrequent forager, I’m a picker and a grinner — a rank amateur with a taste for the fungus among us. And as such, I implore anyone who’s interested in joining the hunt to be vigilant and heed this advice before pulling out your saute pan. Failing that, do what I do: depend on your accomplished mycologically minded friends to share their just-picked booty (thanks Matt and Jerry!). 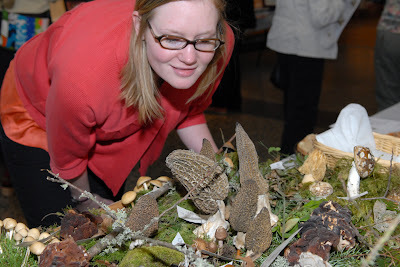 So, with the spring foraging season upon us, allow me to make a suggestion: Mark your calendar for Sunday, May 3, when the Burke Museum, in conjunction with the Puget Sound Mycological Society present Mushroom Maynia on the UW campus. From 10 a.m. till 4 p.m. they’ll be offering an event dedicated to the cultivation of mushroom knowledge — a crash course on the good, the bad and the ugly. You can learn how to grow your own at a cultivation workshop, entertain the kids with mushroom craft projects, taste fresh mushrooms, get your hands on recipes for everyone’s favorite fungus and chat with folks from the mycological society about mushrooms wild and wonderful. Admission is $9.50 general, $7.50 seniors, $6 students (with ID) and youth (5-18). Admission is free to children 4 and under, Burke Museum members and UW staff, faculty and students. The morel to this story? In town or out, happy mushroom hunting to all, and remember, unless you’re foraging at the grocery store or farmers market, know before you go!